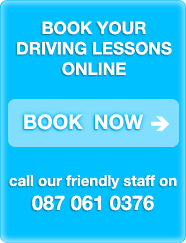 Looking for driving lessons in Limerick? Go get driving with the help of our qualified Road Safety Authority, Approved Driving Instructors. Visit us anytime on facebook for all of our latest offers and promotions! Looking for free driving tips and news? Do you know about the new learner driver rules? Contact Brendan on 087 0610376 for all vouchers and information. Also check us out on Facebook for more offers. "Anyone looking for driving lessons, I'd highly recommend gogetdriving!..." If you would like to have a member of the GoGetDriving.ie team call you back please complete the form below. Your details will only be used by GoGetDriving.ie staff. We promise we will never pass on your details to any third parties.